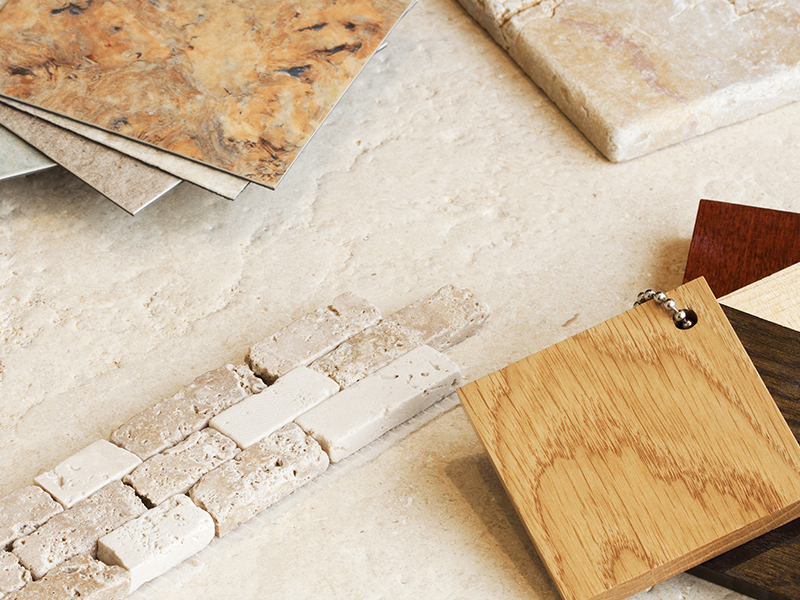 View our manufacturer links or visit our showroom, to work with our design team, to learn more about the many styles, wood species, finishes and special features available for your project. How would you describe your home? Timeless classic? Modern masterpiece? Country chic? Your cabinet door style often influences your home’s overall character, as well as being one of your more substantial investments. 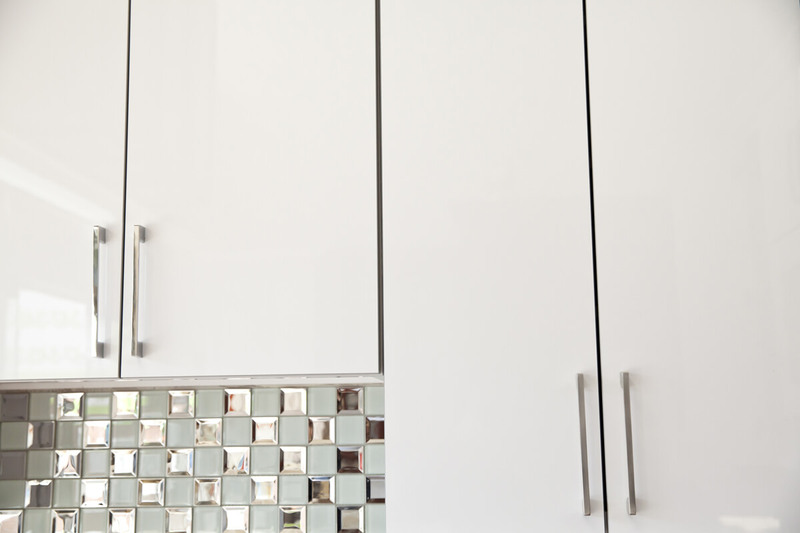 Choosing the right cabinet door style is important for both form and fashion. These are four of the most popular door styles. This is one of the most popular door styles for a reason: its simple five-piece frame and clean lines makes it a versatile choice for any home décor. In natural wood tones, it gracefully presides over a traditionally-appointed home. For a contemporary show-stopper, consider painted doors in white, gray or black. The carved details on a raised panel cabinet door is a time-honored choice for homeowners who want traditional, even old-world-style charm. 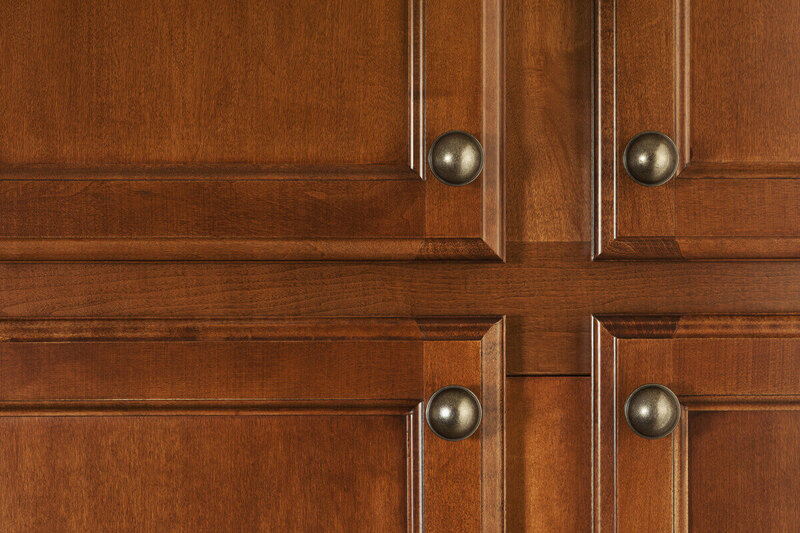 Cultivated contours on the center panel of the cabinet door pairs well with other decorative touches, such as sculpted moldings and trim or special finishes like glazes and antiquing. 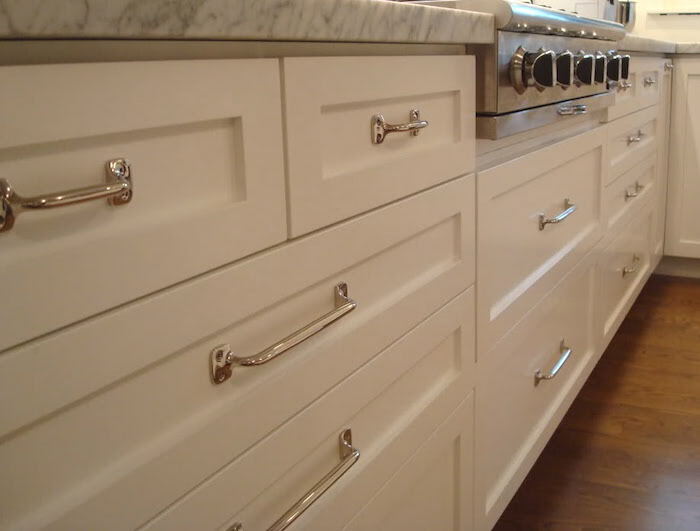 Shaker doors are considered recessed, but there are many other types of recessed panel cabinets. Recessed panels can have elaborate arches or cathedral profiles. They also can have ornate center treatments, such as bead-board, glass or metal inserts. 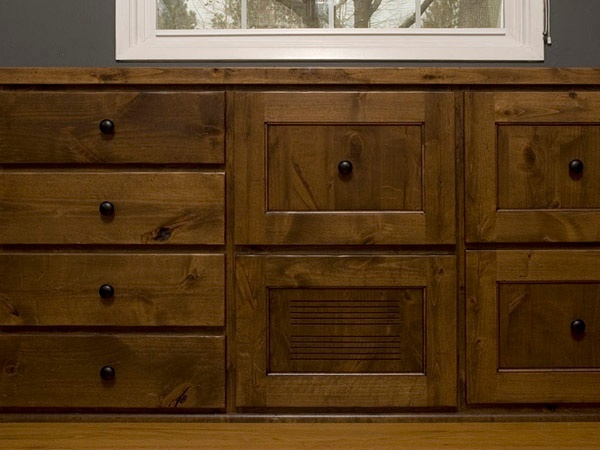 With so many varying options and designs, these cabinet doors can fit a wide range of home styles. 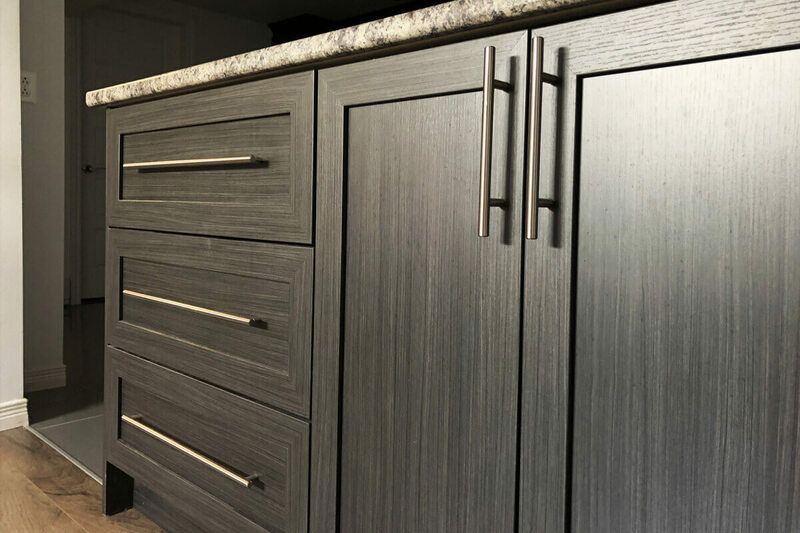 These sleek cabinet doors are generally used in transitional or modern-style designs because of their smooth, ultra-cool finish. Also called flat-front, they can come in a wide variety of materials, including wood, laminates, foils and acrylics, and even exotic veneers such as Bamboo and Red Oak for a high impact visual design. While cabinet door style is all about the personality of your home, the cabinet box style is all about function. When choosing cabinets, there are two types of construction to consider: framed with a full overlay or traditional overlay, and frameless. Both have their pros and cons. Let’s walk through your options. Framed cabinetry is the traditional way of building cabinets. The doors are secured to a frame on the front of the cabinet box to give the cabinet strength and sturdiness. 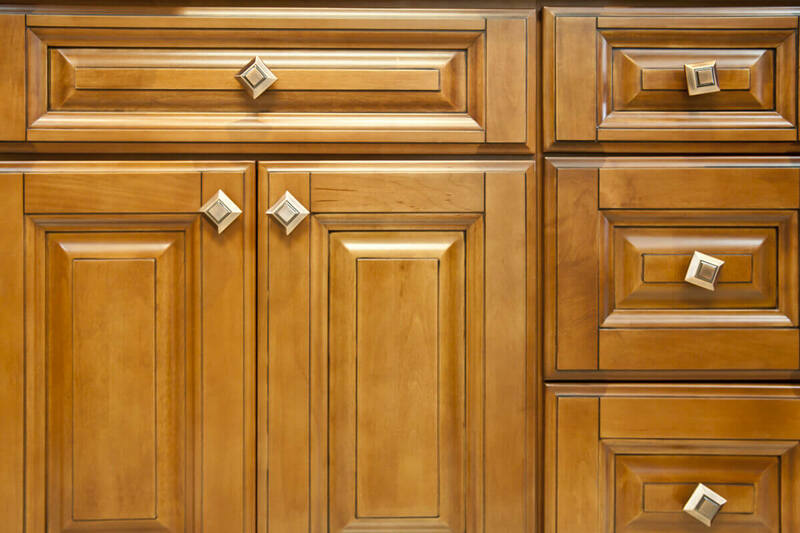 If you choose full overlay doors on framed cabinets, the doors almost fully overlay the cabinet face, leaving less than a ¼-inch reveal around the doors. 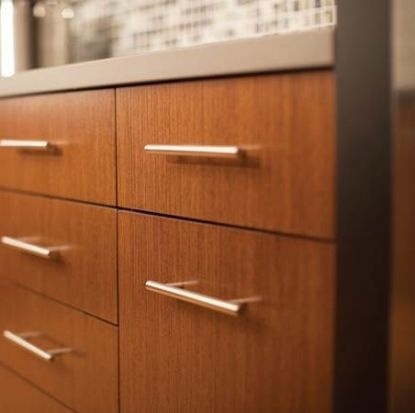 You will need to attach hardware to full overlay doors as there isn’t room to pull them open without a pull or knob, but a full overlay gives the cabinets a more seamless, custom look. A traditional overlay is another option for framed cabinetry and is usually less expensive. With this option, the cabinet doors leave a much larger reveal of the frame around the doors, up to 1 ¼-inch. Frameless cabinetry is a European way of building cabinets. There is no face frame on the front of the cabinet box. Rather, the box itself is thicker and the cabinet doors are installed directly to the side of the box. 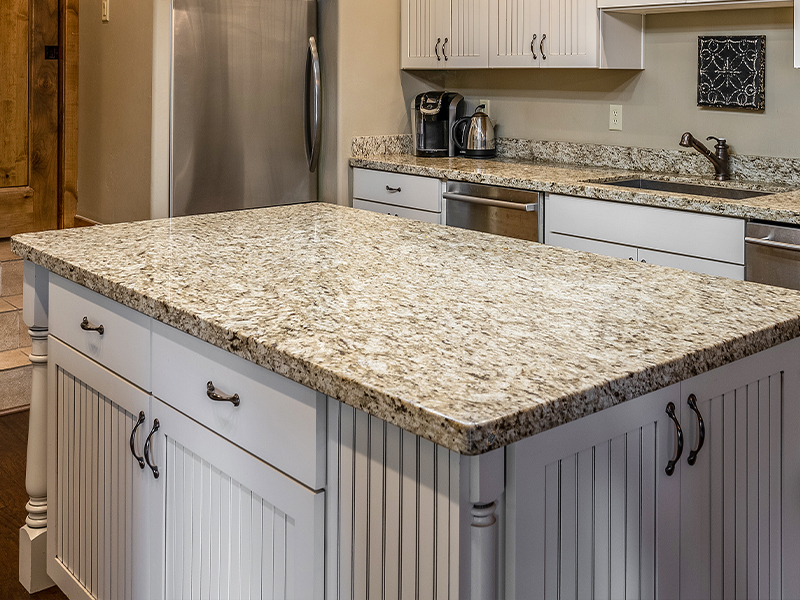 With frameless cabinetry, you have easier access to items within the cabinets, no center style separating double doors and more storage space to work with inside the cabinets, but frameless cabinets generally also come with a higher price tag.